Demand-response Mobility-as-a-Service (MaaS) solutions are an efficient and cost effective way of transporting riders compared to inflexible--and often unreliable--fixed route services. Given they leverage existing public and private community capacity, these optimally blended solutions are less expensive to produce and operate, and can be tailored to all segments of the general public transportation markets—work, shopping, social, health services and recreation. Flexible transit represents a fantastic, cost-effective alternative to reduce congestion, lower emissions, improve efficiency, and deliver tailored transportation capacity to the customer anytime, anywhere. 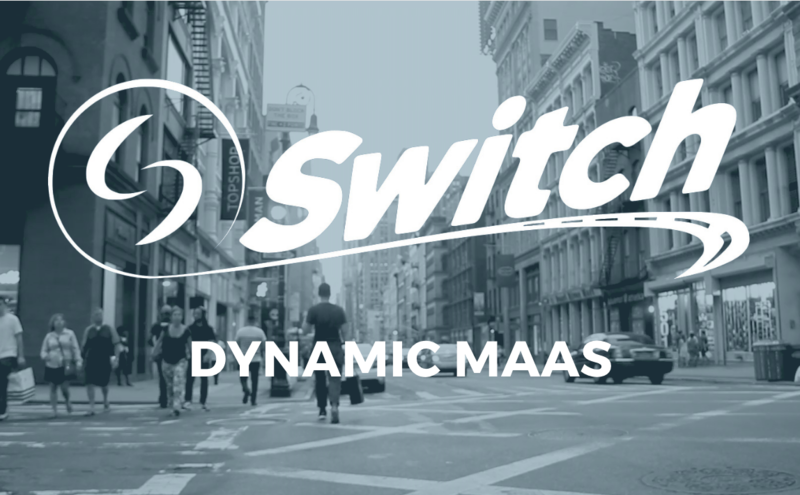 Switch is the world's first Dynamic Mobility-as-a-Service(MaaS) platform providing comprehensive end-to-end multi-model on-demand transport services anytime, anywhere. Switch is the world´s first Mobility-as-a-Service (MaaS) solution with integrated on-demand capabilities. Switch provides users the freedom of mobility to travel wherever, whenever. Easy-to-use interface enables you to locate routes, schedule on-demand or recurring trips, and instantly pay. 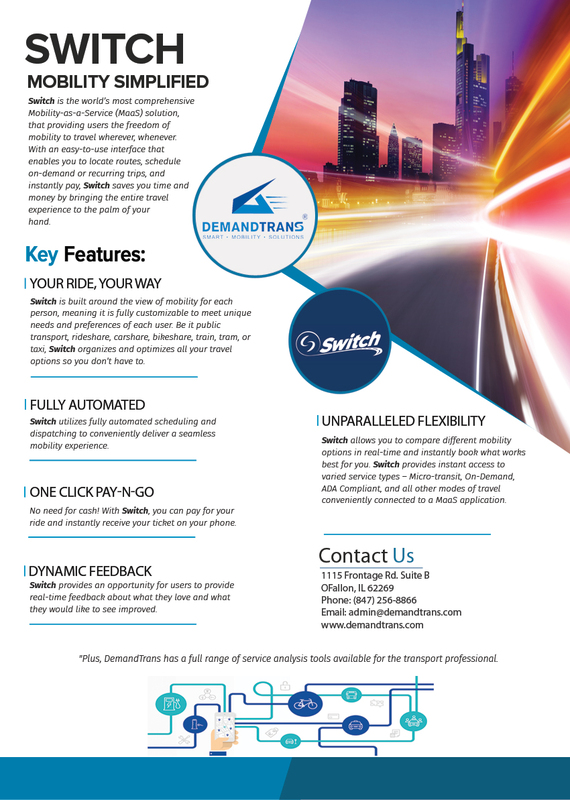 DemandTrans (USA) and ​Kyyti Group (Finland).